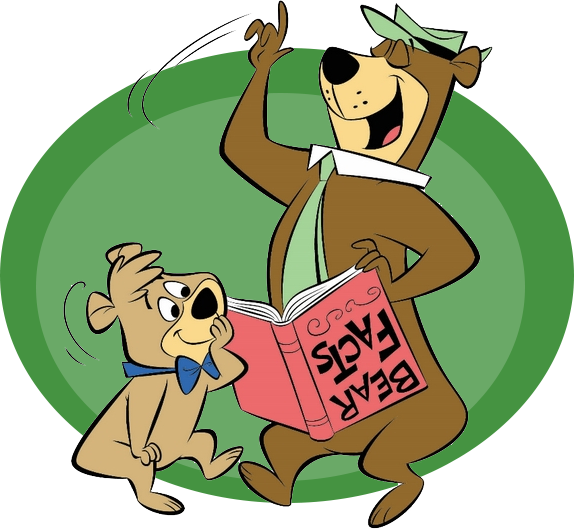 Interested in a Bear Visit? 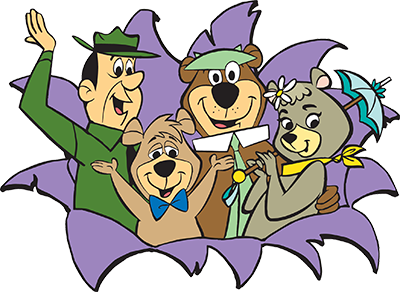 To ensure availability, please schedule your bear appearance 24-48 hours in advance. 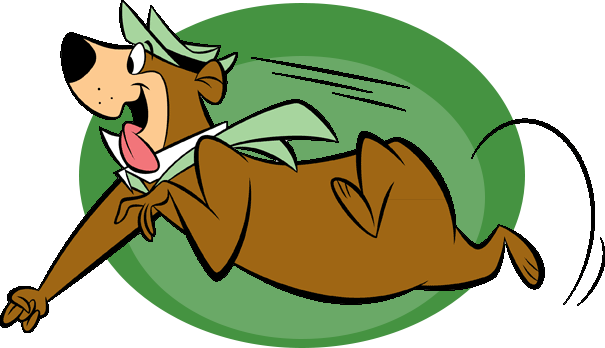 Yogi Bear, Cindy Bear, or Boo Boo, will come to your site to get your child energized and ready to go for the day. They will bring along cereal in a souvenir bowl with milk, then will either do Yoga or some type of mild exercise to get them excited for their day ahead. 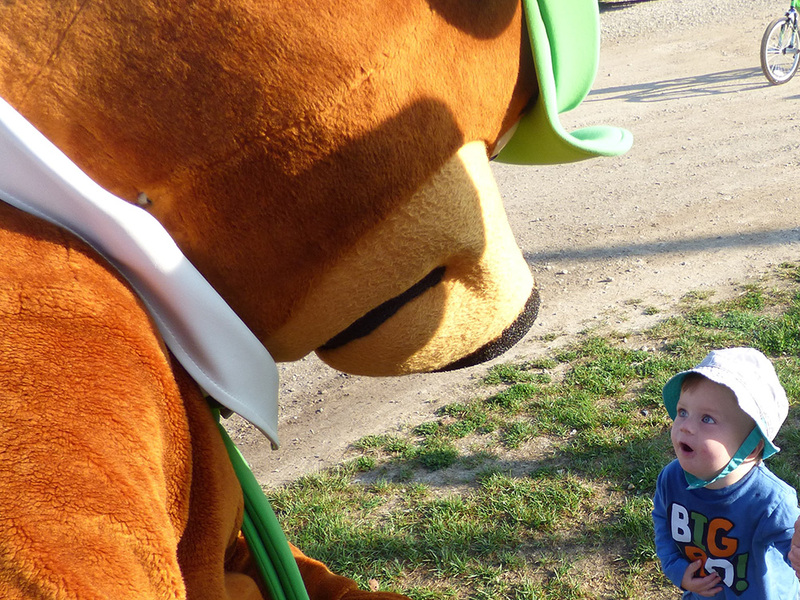 What a great way to start your day with a visit from one of the bears. Did your child loose a tooth while here on vacation, and wasn’t sure if the Tooth Fairy would find them? 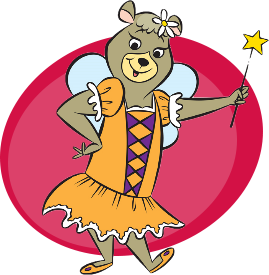 Well, Cindy Bear is here to give your child a visit with a special treat for loosing their tooth. 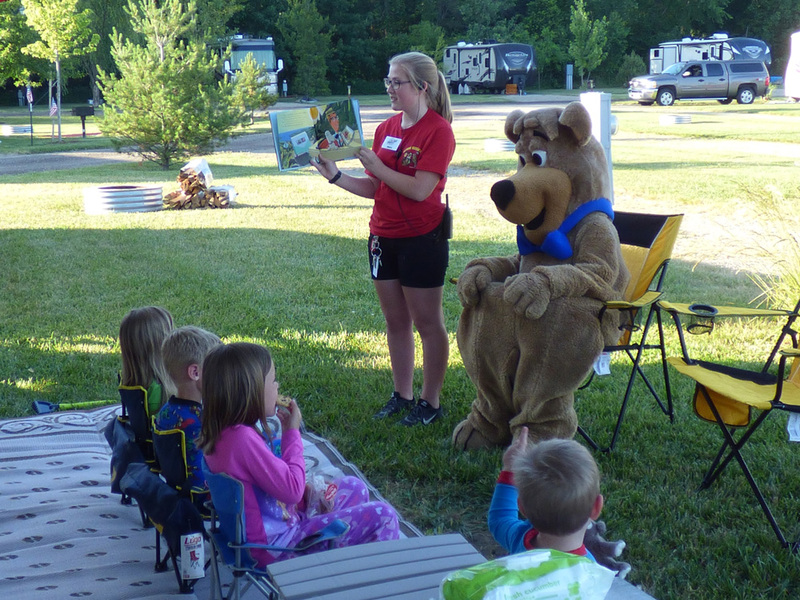 Yogi Bear, Cindy Bear, or Boo Boo, will come to your site and tuck in your child and read them a story or two. 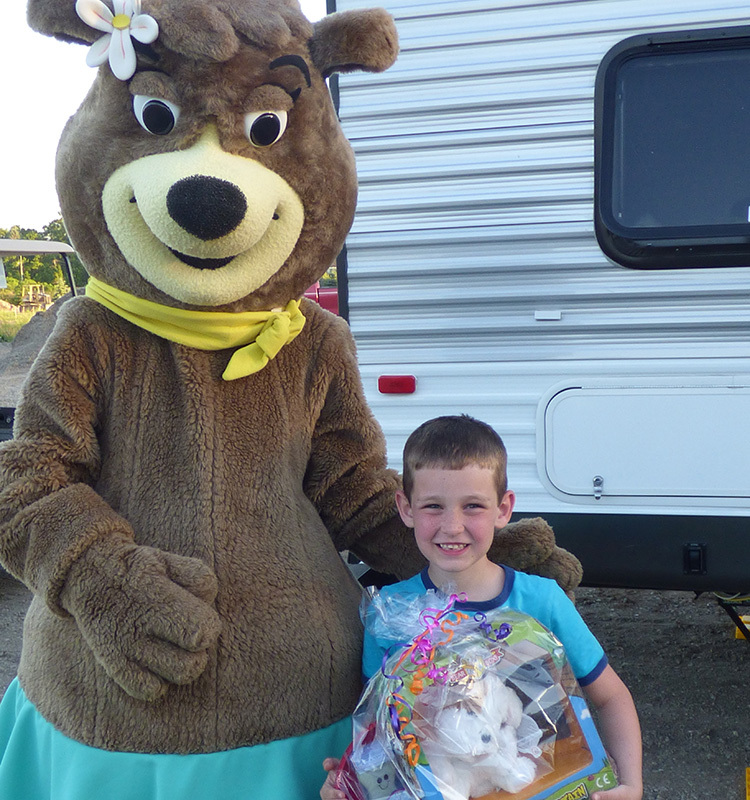 They will also bring each child a glass of milk in a souvenir cup and 2 cookies for a bedtime snack. 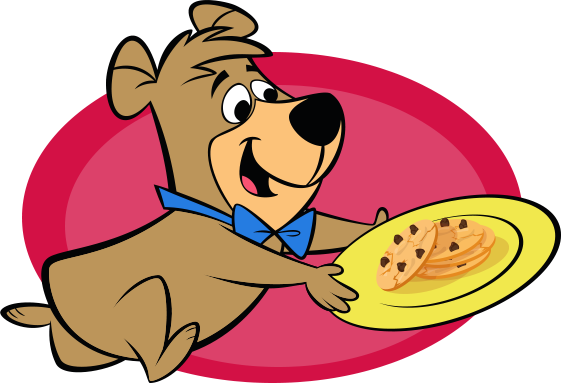 Enjoy your choice of a dozen freshly baked cookies delivered to your site by one of the bears. 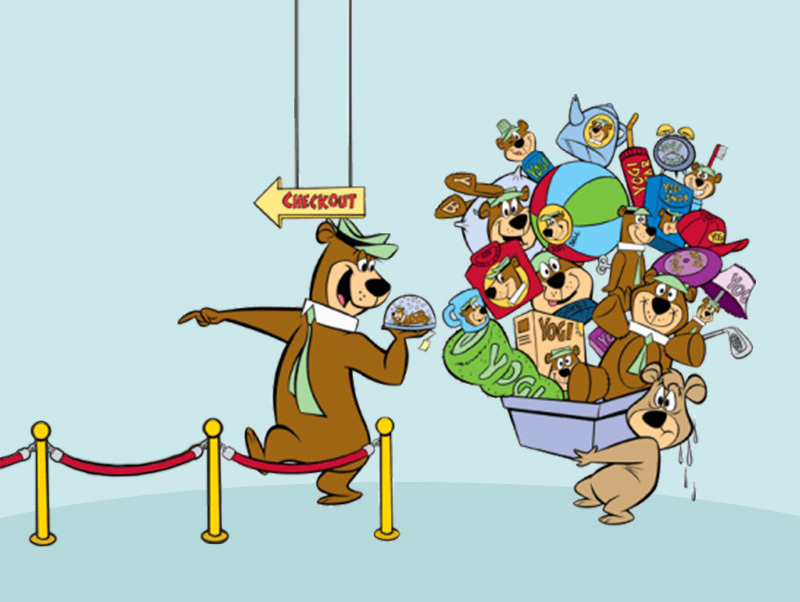 The cookie bear delivery is done after the last Hey, Hey, Hey! Ride, each night in season. 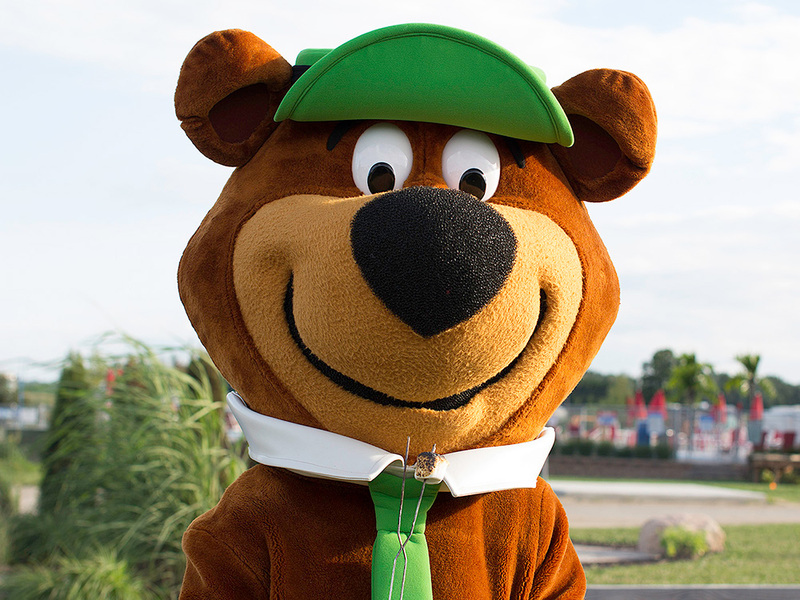 The bear that is out for the Hey, Hey, Hey Ride will be the bear that makes the cookie delivery. 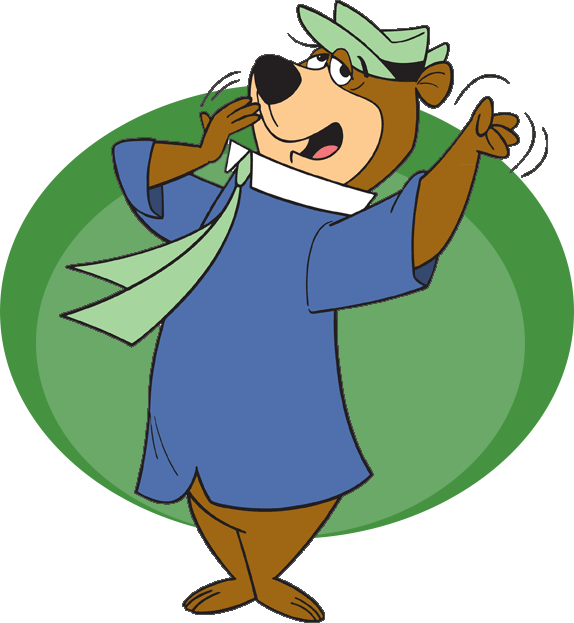 Unable to request specific time or bear for this bear appearance. 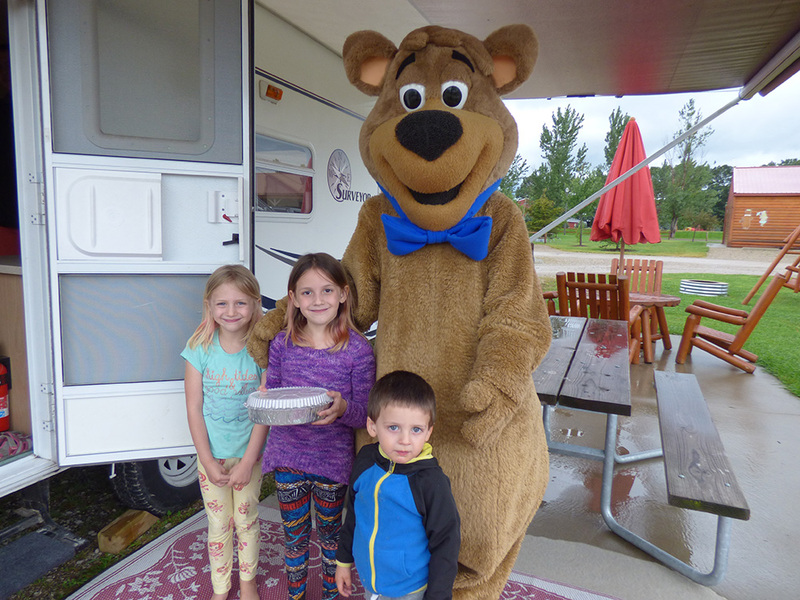 Enjoy a Hunt Brothers® Pizza delivered by a bear! Meal comes complete with a tablecloth! 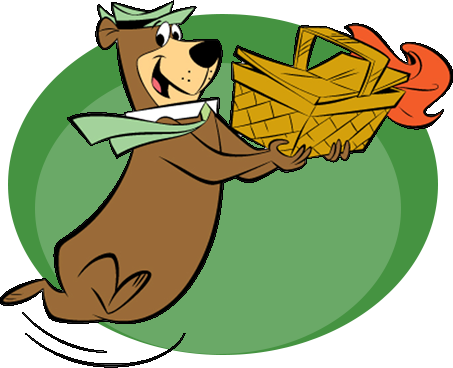 Picnic Basket Delivery is based on 4 people. Be sure to add additional Pizza’s when reserving. Each delivery comes with one 12′ Pizza with four small pops. 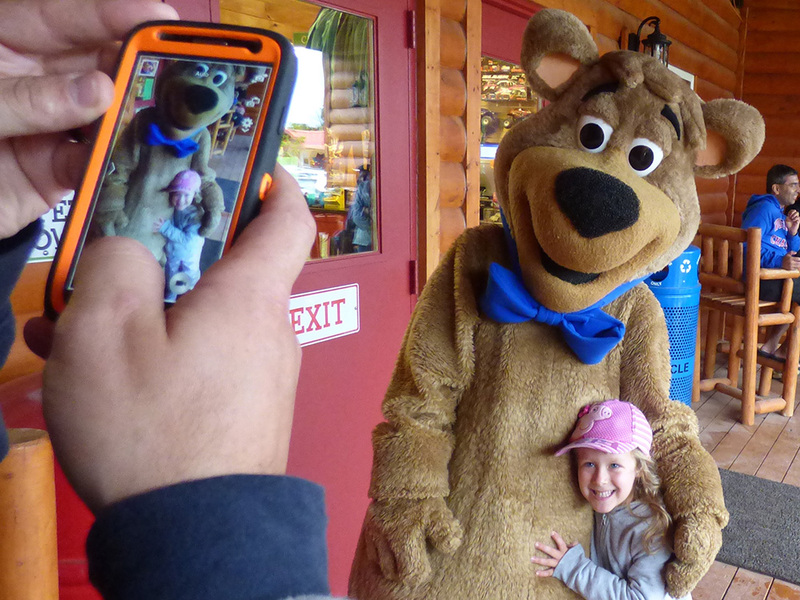 *To ensure availability, please ensure you schedule your bear appearance 24-48 hours in advance. 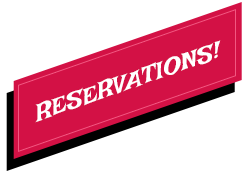 Only $7.95 for each additional group of 4 people. Pricing for 1 child, each additional child is $24.95. 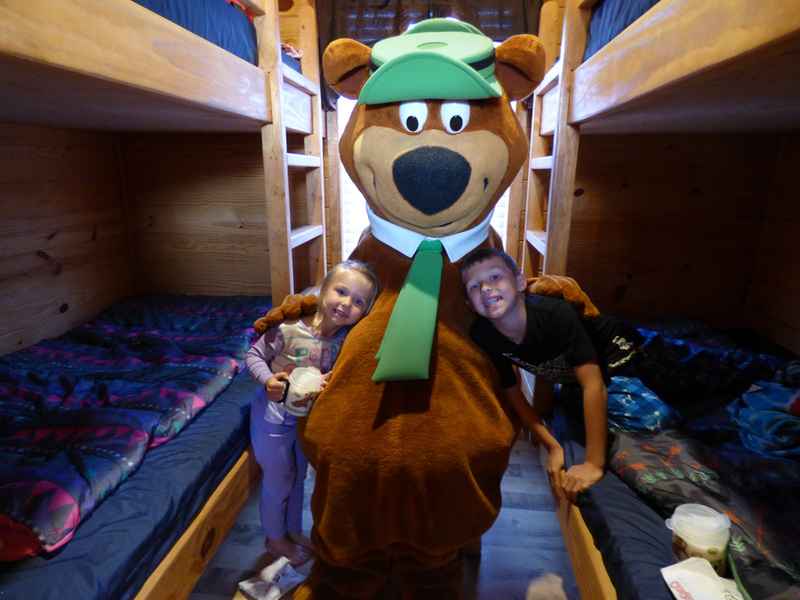 View our Photo Gallery for the many pictures of our facilities and all the fun you could have! Free Bear Hugs anyone? 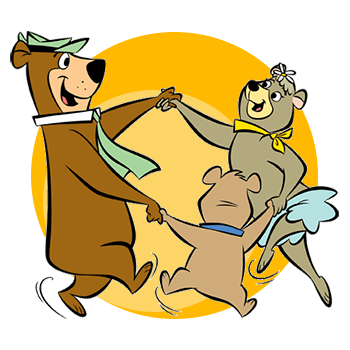 Come and Hang Out with Yogi Bear™ & Friends! Want something more personalized? We offer that too! 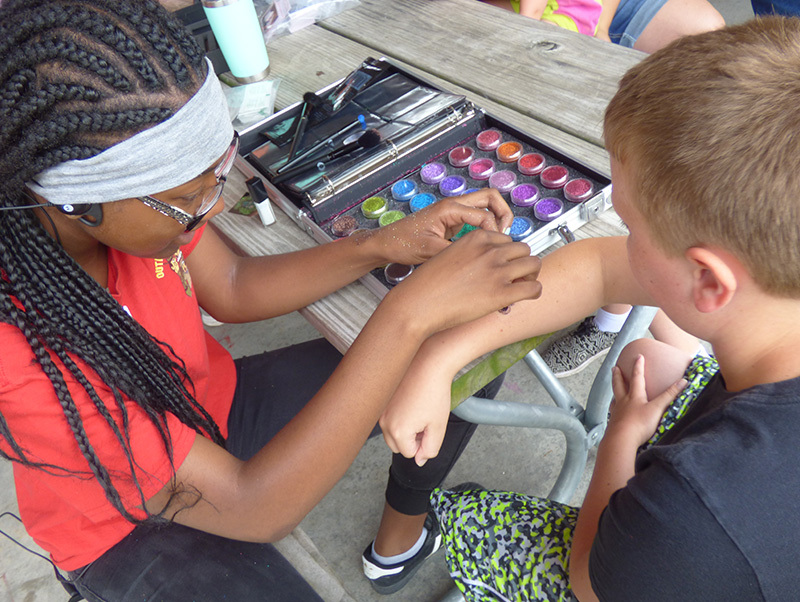 Whether it’s crafts, movie nights, to outdoor recreation, we offer a variety of activities that that brings families together in a fun outdoor setting. 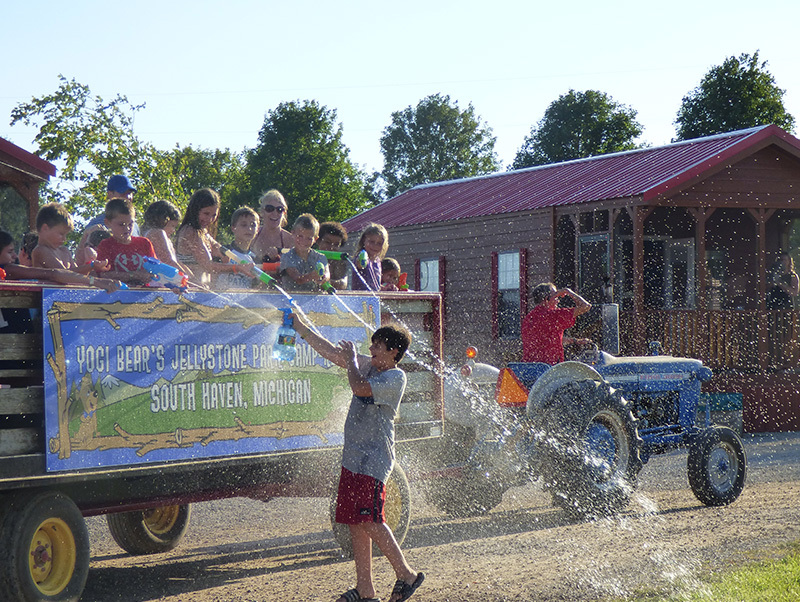 There will be plenty of fun and games to keep the whole family entertained! 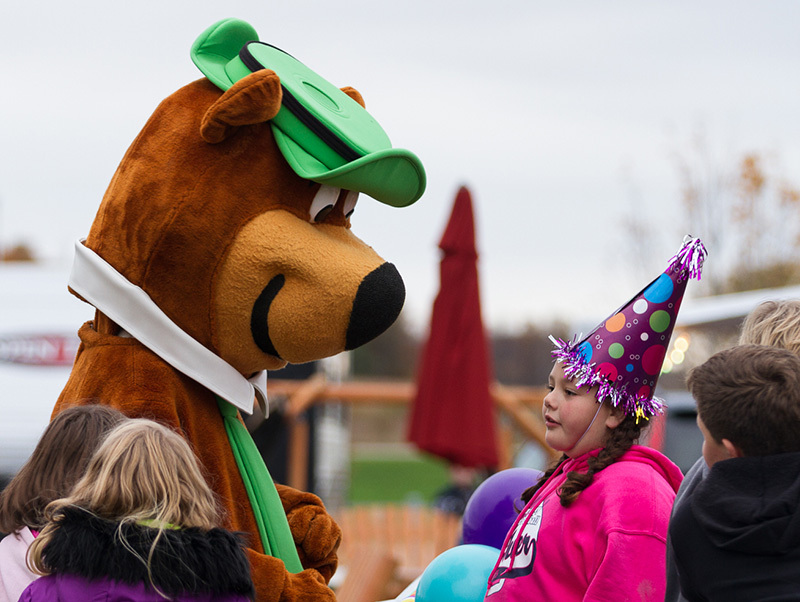 Now you can give family and friends a gift they’ll never forget – something from Yogi Bear’s Jellystone Park™! Whether it is merchandise or gift cards, it will sure to be something they love!